It is difficult to describe the life of Bob Jane without descending into hyperbole, omitting a large amount of his achievements or making it sound like one is describing several peoples' lives. Such was the 88-year life of Jane, who passed away after a battle with prostate cancer, in Melbourne on September 28. In many ways Jane straddled different eras of the sport's history in Australia and came to define what would become the professional standards that the sport enjoys today, whether one is talking about drivers, team owners, sponsors, track owners or promoters. The imprint Jane leaves on Australian motor racing is wide and deep, and may never be matched. As a young man Jane honed his competitive instincts in the rough and ready Melbourne suburb of Brunswick, and as a teen raced bicycles, a sport in which the use of elbows and knees was as important as a keen eye and fast reflexes. 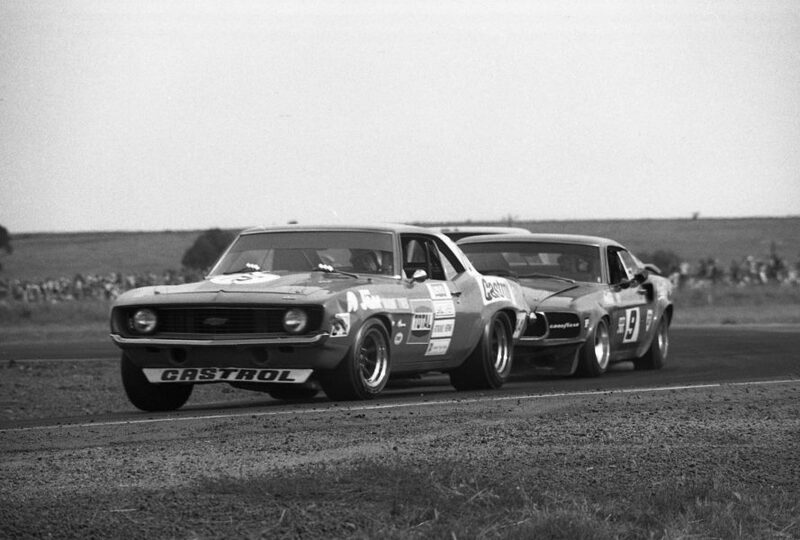 After establishing his Bob Jane Autoland business in partnership with his brother Bill, he turned his eye towards racing cars. Starting with a handful of outings in touring cars in 1956, he soon eyed faster racers, stepping bravely - and probably prematurely - into an ex-Stirling Moss Maserati 300S two years later. It was an unsuccessful move, and Jane was better-suited to saloon cars, acquiring a warmed-up Holden shortly after. It was prepared by a crusty rally enthusiast named Harry Firth. 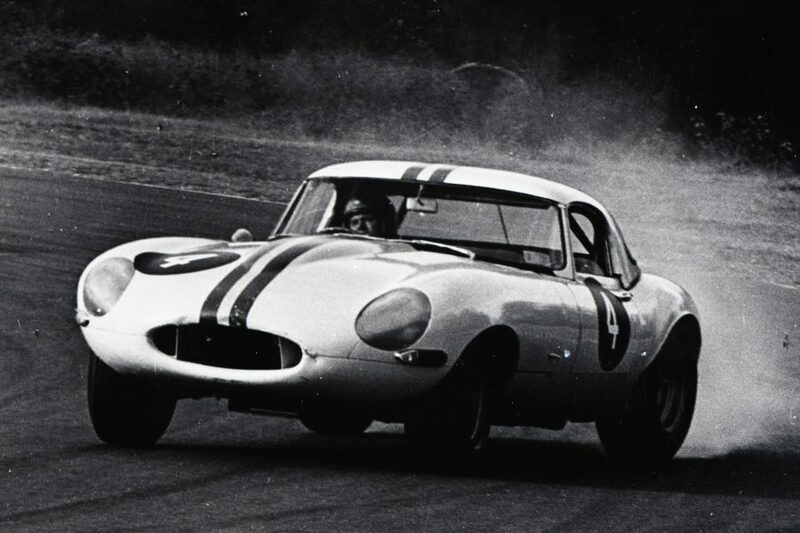 Despite his inexperience Jane was abnormally determined and even a major crash that left him with multiple fractures could not stop him from returning in time for the 1961 season, racing a new road-spec Jaguar. What he was doing was following the business model of the day. 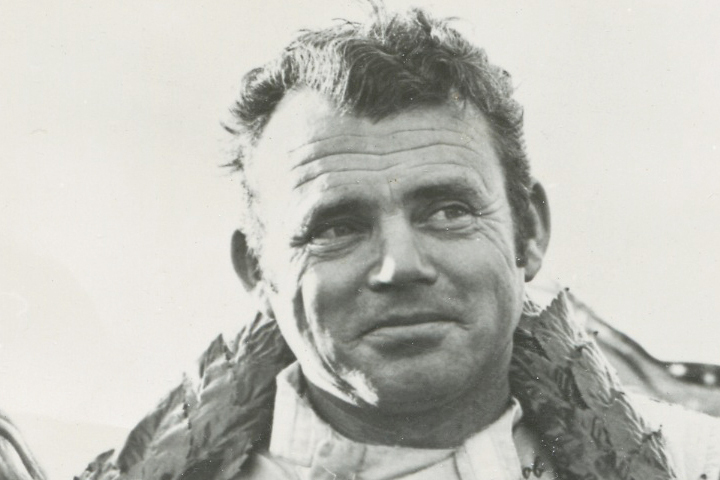 Like most of his contemporaries – Lex Davison, Ron Hodgson, Norm Beechey and the Geoghegan brothers, 'Pete' and Leo – Jane worked hard during the week to make enough money to buy and prepare cars for racing on the weekends. But Jane was already looking further than modest payments from within the trade, usually from oil and tyre companies. By 1961 he was ready to take on some of the country's biggest events, driving in the one-race Australian Touring Car Championship at Lowood. He lasted only one lap before breaking the Jag's suspension but only two months later, at Phillip Island, he wrote his name into history. At Phillip Island he and Firth shared a Mercedes-Benz 220SE to win the second-ever Armstrong 500, the forerunner of today's Bathurst 1000. 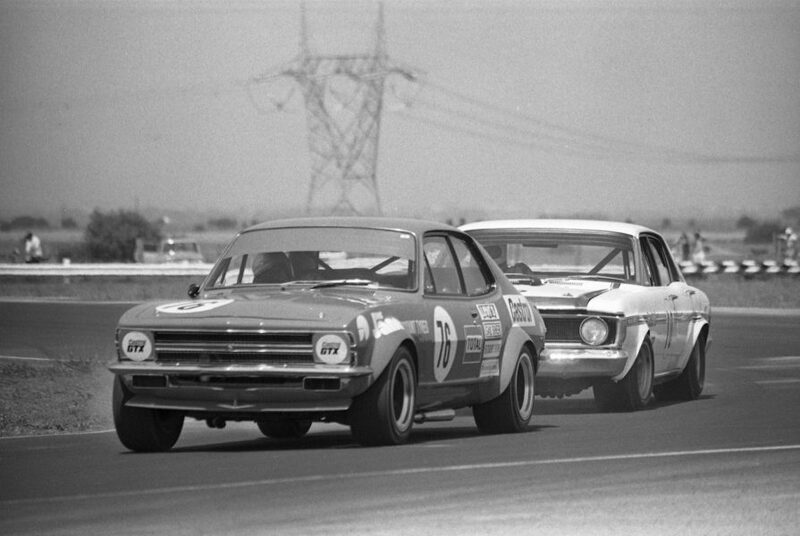 The following year they won it again, this time in a Ford-backed Falcon. 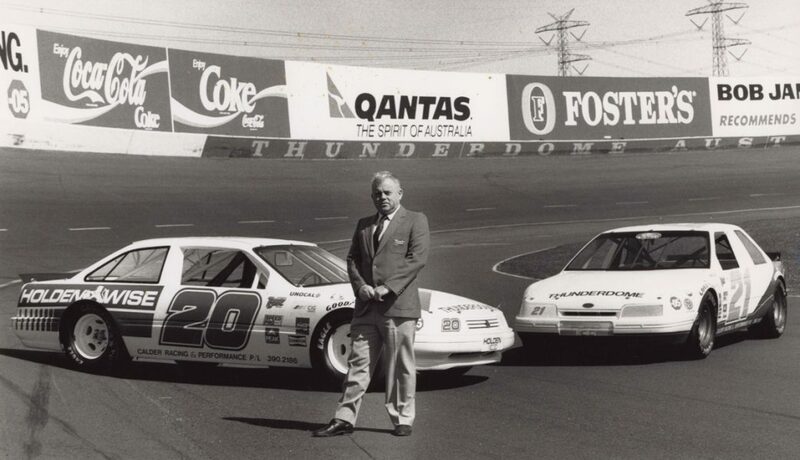 A year later, neither moving the race to Mount Panorama nor changing the Ford from a Falcon to a Cortina GT could stop them from winning again. In 1964 Jane and Firth were split but, with George Reynolds sharing another Cortina GT, Jane won The Great Race for the fourth consecutive time. No other driver has done that; not Peter Brock, not Allan Moffat, not Mark Skaife, Craig Lowndes or Jamie Whincup. By now Jane has tasted many other successes. He put the 1961 ATCC disappointment behind him by winning the crown for the first time in '62, 24 seconds clear of defending champion Bill Pitt. A year later at Mallala, he won it again, the last victory in the event for a Jaguar. During this period Jane's car business had grown significantly. In time he would have nine dealerships, headed by Southern Motors, for many years the biggest Holden retailer in Melbourne. He had an eye on other business opportunities. 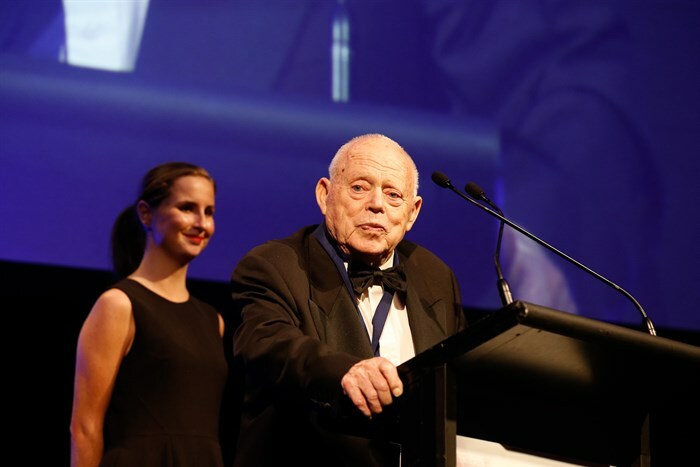 In 1965 he opened the first Bob Jane T-Marts store in Melbourne and quickly it became a great success; at one point in time, it was the biggest retailer of Goodyear tyres in the world. With the population of Australia less than 10 percent of that of the USA, that was some achievement. Jane's racing interests on and off the track were soon to expand. By the early 1970s Calder Park, on the north-west edge of Melbourne, was struggling for survival. Jane stepped in and bought the track and revitalised it. He got to work selling motor racing with the same strategy he applied to selling cars and tyres; give the customers what they want and they will come back for more. It worked. At half-a-dozen meetings a year, short, sharp races showcased the big names of the day. Gaps between the races were kept to a minimum. By 1970 rallycross, which had attracted big audiences in the UK, came to Australia and in conjunction with a reborn Catalina Park circuit in Katoomba, New South Wales, Jane brought a new category to the people. During these years he still raced himself, and acquired an impressive list of cars. Elfin sportscars, one-offs from McLaren (an M8 CanAm car fitted with a Repco V8) and Brabham (a Formula 2-spec BT36 with a locally-made Waggott 2-litre engine), fabulous Sports Sedans based on Holden's Monaro and Torana and the famed Chevrolet Monza, and multiple Touring Cars among them. But perhaps his best-known car was the Camaro ZL-1. 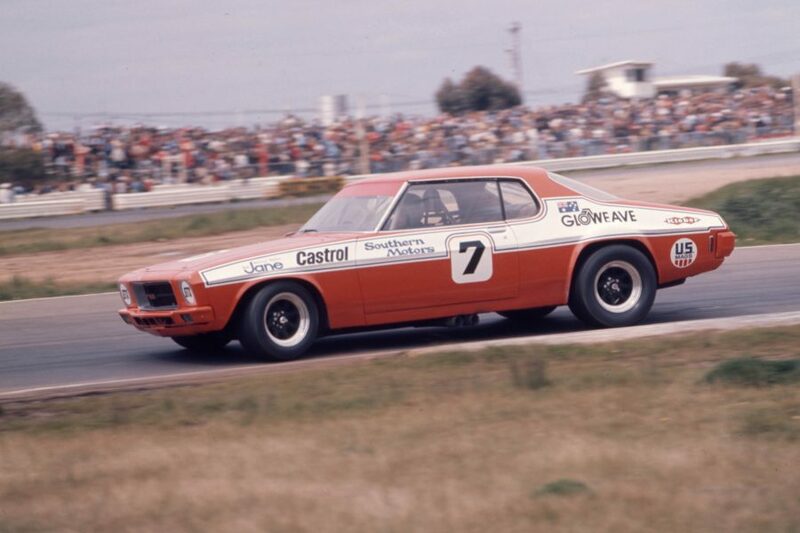 Seen by many as what we would call a Supercar nowadays, the car featured a 427 cubic inch alloy V8 and in it, Jane drove to his third ATCC crown in 1971, holding out Allan Moffat's Mustang in a thrilling finale at Oran Park that featured, at one time, a spectator driving his Valiant Pacer onto the track. Fearing a whitewash of the category, CAMS outlawed the huge engine for the following year and even with a 350 cubic inch motor, Jane won four of the eight rounds to take his fourth and final ATCC title. They were glory days for the ATCC, with huge crowds soaking up the action. Jane’s rivalry with Moffat was particularly fiery - the type that is arguably lacking in the category today. In fact, what had happened between his pairs of titles changed the sport in Australia. 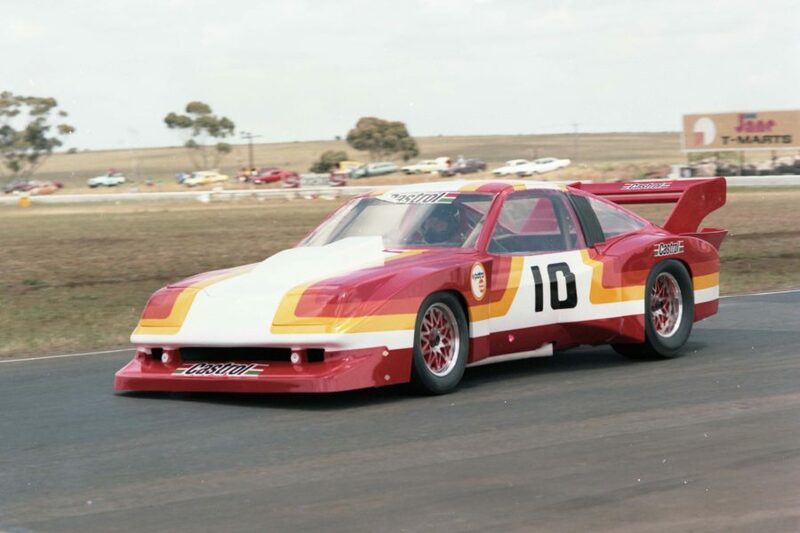 Aided by some of the best in the sport in Australia – John Sawyer, John Sheppard, Pat Purcell and even Frank Gardner – Jane had progressed from his standard Jaguar and hot-rodded Holden to roll out some of the best-prepared cars ever seen in the sport. What he did was to raise the level of preparation from rich-guy-racing-on-weekends to a professional level, one that sponsors would want to be associated with. All the while maintaining his businesses, Jane made a huge contribution to turning a wealthy man's pastime into a professional sport. Even when his own driving career started to wind down, Jane was far from done. Until 1979 the Australian Grand Prix had never had a permanent home, travelling from track to track, state to state, in a series of one-off appearances. Calder had never hosted the event but Jane secured a five-year deal for it to do so, starting in 1980. Jane didn't just want the AGP; he wanted a Formula 1 Grand Prix, and he was prepared to spend money to get it. So on Friday November 14, Formula 1 cars took the the 1.6km Calder track, with Alan Jones, who had just been crowned World Champion, in one of them – a Williams FW07. Alright; there was only one other F1 car, Bruno Giacomelli's Alfa Romeo, at Calder but that hardly mattered. Nor did the fact that the F1 cars never actually came back to the track. Formula 5000 was done, and Jane turned his gaze to Formula Pacific and recruited some of the sport's biggest names to race at Calder in the next four AGPs. Alain Prost came and won the race, and world champions Nelson Piquet, Niki Lauda and Keke Rosberg also came to Keilor. As the end of the contact came closer, Jane started to talk about getting a 'real' F1 Grand Prix to Australia. Of course, he didn't do that, and it would be a big statement to make that he was instrumental in getting F1 down under. But with the exception of the Australian Automobile Racing Club’s Geoff Sykes, few had even talked publicly about getting contemporary F1 stars – world champions, no less – to Australia. What Jane did do was think big, crash through and make what might have looked impossible happen. But Jane had no time to ruminate on what might have been. He'd long been fascinated by all things American (he would name one of his daughters Charlotte, and for years lived in a house with the same name) and in particular, loved NASCAR. 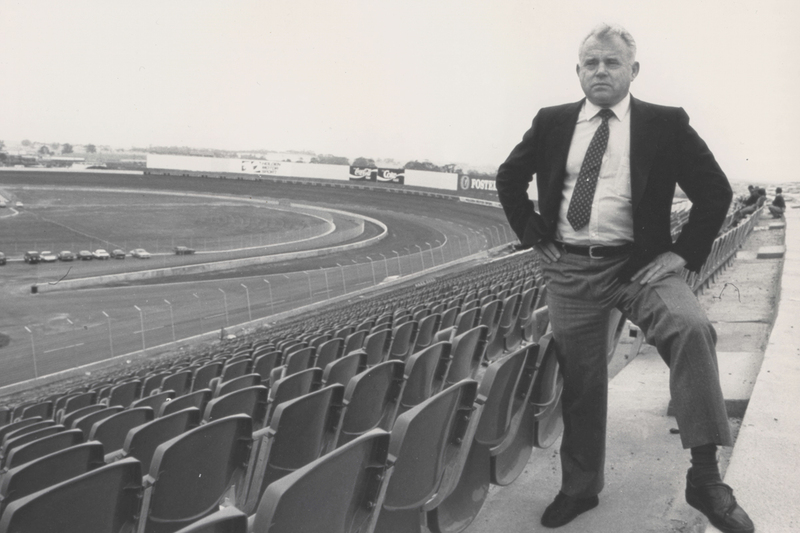 By the time the AGP-to-Adelaide deal was confirmed Jane was already working on building his own Superspeedway, next to the now-lengthened Calder Park track. It looked crazy, took four years, but build it Jane did. None other than 'King' Richard Petty attended the opening; NASCARs took to the 1.8km scaled-down version of Charlotte Motor Speedway in February 1988. And, initially at least, it worked. Saturday nights at the Thunderdome drew crowds, parents in teams' colours mixed with kids (some in dressing gowns!) watching NASCARS turn left and AUSCARs and HQs turn right. It did not last – the 'Dome is now a rather forlorn and unused sight – but fans and teams in big numbers came to events at Jane's track. Then there was Drag Racing. On its quarter-mile strip Calder hosted the first four-second Top Fuel pass outside the USA when Graeme Cowin ran a 4.85s pass in December 1993. When the track hosted the Drag Racing Nationals, they attracted huge fields and big crowds. Ultimately though, Calder proved a major drain on Jane’s business empire, with as much as $250 million estimated to have been ploughed into the venue and its events. Still, even in his later years, Jane insisted he had no regrets over spending the money to turn his vision into a reality. Along the way, there had been plenty of scraps. For years Jane and CAMS were at loggerheads; so too, in spite of hosting the very first V8 Supercar event at Calder in 1997, he had disagreements with AVESCO, forerunner of Supercars. Time healed those wounds and he ultimately received honours from both. 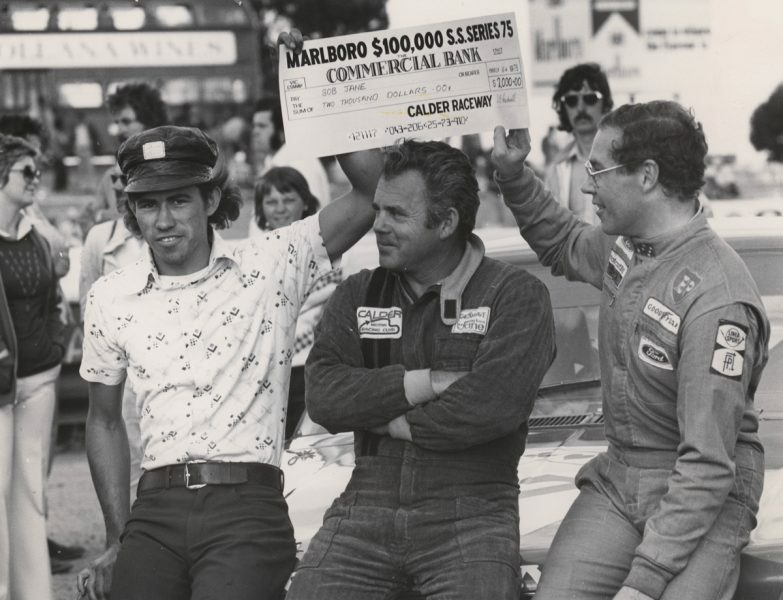 There is much more to say; his Le Mans assault, with Peter Brock and Larry Perkins, in 1984; Adelaide International Raceway; taking NASCAR around the country to road circuits; sponsorship of cars at nearly every level of the sport. Yes, there were harsh words and fights along the way, for that is what Jane was. His many conflicts included legal fights with third wife, Laree and son Rodney, both of which played out publicly. Typically his last fight, against prostate cancer, was one of his most pugnacious and against great odds, lasted for more than two decades. 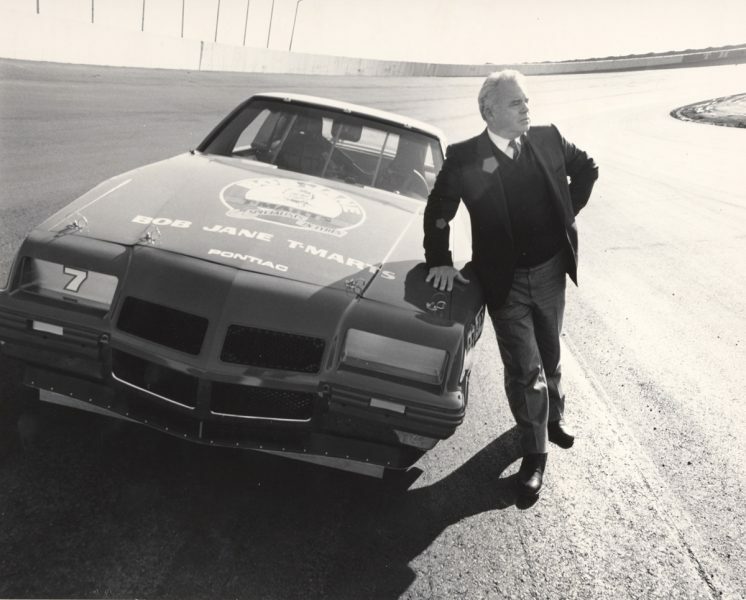 Bob Jane was much more than a racer; a promoter; a sponsor; a friend and mentor to many in the sport. With such a long and vast history in the sport he was, ultimately, exactly what was written on many of the tyres he sold; a Bob Jane All Rounder.